Durango, CO, September 20, 2016, Laurel Ann Browne, CAC III, CHT, CPE, Certified Holistic Counselor of Visionary for Creative Change, has been recognized by Elite American Health Professionals, for dedication, achievement and leadership in counseling services. “I’m a truth seeker, I’ve been a truth seeker all my life,” says Ms. Browne, a professional who concentrates her efforts on delivering expert counseling services in an array of areas, which include marriage and family, children’s services, trauma, spirituality, healing, medical astrology, hypnosis, self-help, and youth and family issues. She also offers astrology and numerology reports and e-courses. Ms. Browne feels that her strong background as a researcher have allowed her to thrive as a counselor. Prior to her delving into the world of counseling, Ms. Browne studied archaeology and ancient religions. “[My research] abilities and skills gave me depth. In actuality, for a long time I didn’t know I was trying to reach who I was, I kept reading and studying everything there is in those earlier years,” she revealed in a recent EliteAMERICAN interview. Ms. Browne is a writer, teacher, speaker, medical astrologer, past-life astrologer, master numerologist, advanced astrology soul path counselor, holistic healer, and business adviser. She is a webmaster of four websites and an affiliate marketer. At the helm of her counseling center, Ms. Browne offers alternative health advice to each of her clients, some of which she first encountered 20 years ago; because of her profound counseling capabilities and a mission to deliver help and guidance through healing, her clients value her services and advice. She began her work in her teenage years, and she believes that today’s youth is here to raise the consciousness of our planet, and that they have been misunderstood by society, parents and schools. During her sessions, Ms. Browne provides astrology, numerology, tarot and aura readings in order to give clients specific dates and the best times to make important decisions. Visionary Change Counseling Center’s mission is to help others help themselves through integrative counseling with alternative approaches, intuitive guidance and answers for everyday life. Ms. Browne gives practical solutions to personal, business, marriage and family problems. She is a recognized columnist and has written articles about indigo children and attention deficit hyperactivity disorder. She was appointed to the Oregon State Capital and worked for Senator Jim Hill. In 1986, she was an administrative assistant for the Oregon State House of Representatives. She also provides health care counseling programs. 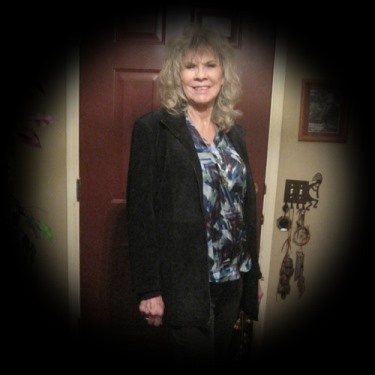 For more information about Laurel Ann Browne, CAC III, CHT, CPE, please visit http://www.visionaryforcreativechange.com, http://visionarycounselingcenter.com, http://www.healthsecrettruths.com, and http://www.childparentredirection.com. 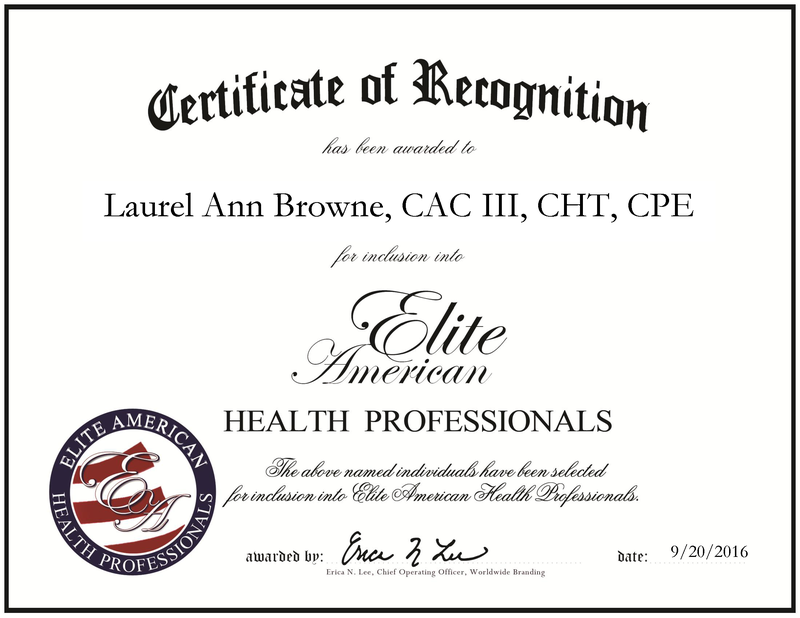 Laurel Browne was originally selected for inclusion in EliteAMERICAN Health Professionals in January 2012 and November 2015. We are proud to be featuring Ms. Browne again in EliteAMERICAN Health Professionals for 2016. This entry was posted in Counseling and tagged astromedicine, binaural beats brainwave monitoring, clairvoyant health intuition, holistic counseling, holosync meditation, hypnosis, metaphysical, neuro-linguistic programming, spiritual. Bookmark the permalink.